I am exceedingly glad parenting does not require a degree in spaceship engineering, especially when it comes to kids and finances. With support from your spouse, extended family and good friends as well as the vastness that it is the world wide web, teaching kids about money and savings takes little more than the two C's: common sense and consistency. Instilling in children the value of money, how to spend it well, how to save it and how to set aside portions for tithing and charitable giving is something we can go about with confidence. There are many different ideas out there aimed at kids set to get them interested in saving money -- and actually make the act commonplace and even automatic. Here is one such idea to get your parental juices flowing. No matter what level of financial advice you received during your growing up years, it's pretty much an essential that we take that particular bull by the horns and pass on smart financial sense to our kids. In order for kids to learn, they need some money. For most of us, this will mean giving our children an income in the form of an allowance. Regarding allowances, there seem to be two basic principals the majority of parents fall into: 1) giving an allowance based on a child's completing of chores and 2) giving an allowance free of chores or other responsibilities. It seems there are pros and cons for both ideas (that might be a post for another day), and it will be up to you and your household to best determine how your kid will get the money. But the first step in teaching money smarts to kids involves them getting their hands on some cash. Props often will go a long way helping children learn; there's something about a physical, tangible object from the real world that helps lessons click. The same principal can be applied to help teach your child about how to responsibly handle money. When Junior receives his allowance, it might be helpful for him to be able to put his quarters somewhere other than a pocket or a shoe. 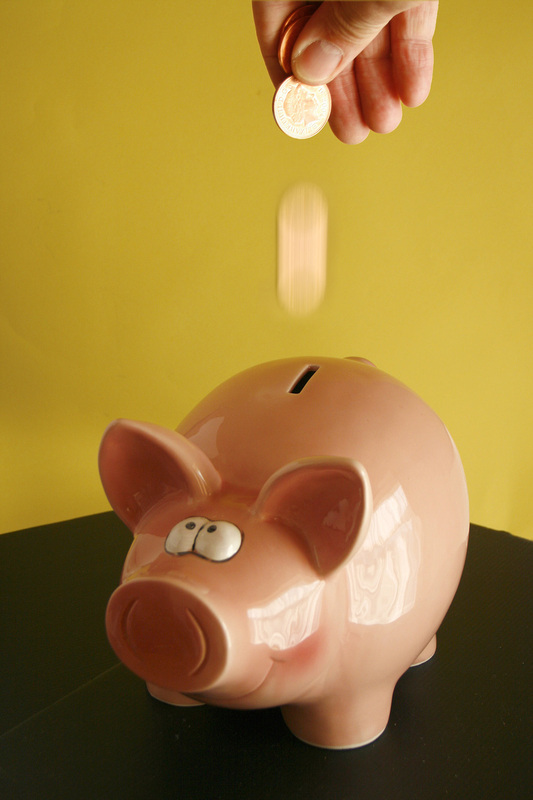 A piggy bank (or jar or some such container) is a good first step. It gives him a place to collect his money. Take it a step or two further by giving three piggy banks. Lable one "Spending," another "Savings," and the last "Giving" (or "Tithes" or "Charities"). This gives you an opportunity to teach Junior that a portion of his allowance can be spent, a portion should be saved and still another can be set aside for giving. You don't need me to tell you there are computers everywhere. My girls' preschool even has two computers. Kids today are generally pretty tech-savvy, and some respond well to computer games. Teaching your kids the same principals as above - earning, saving, spending, giving - gets an online update with threejars.com. It's an online version of the three piggy banks idea. Kids earn money that is "deposited" into a jar; from there, they can designate a part of their earnings to savings and givings jars. It is not a bank, however, and parents do not put any physical money into the jars (parents' credit cards are charged for a usage fee and if money is designated to be given to a charity). However, the site's jars do represent your child's money, which gives them a visual as to how much they are spending, saving and giving. Teaching your child how to responsibly save, give and spend doesn't take a special financial degree. With some simple piggy banks/ jars or a computer version of the same, starting your child on the path to responsible financial stewardship is simple and rewarding for all parties involved. Three virtual jars resource is quite fascinating! By the time the present generation of kids grow up, online banking will be the rule rather than the exception (isn't it already?!). This teaches them a little bit of virtual banking as well! MoneyCone- I thought the website idea was great, especially in this day & age of computers, and the introduction to online banking is just some icing on the whole cake!